Little Scholars Childcare & Enrichment Ctr. "One Church, One Love, Two Locations"
The Mission of Trinity Outreach Ministries Church of God In Christ is to praise, magnify, and lift up Jesus Christ our Savior. We are to provide the highest level of service, love, and encouragement to the saved and the unsaved. We are to foster an environment of family, hope, restoration and worship through nurturing Godly living, sharing of ideals, and promoting the good will of one another. 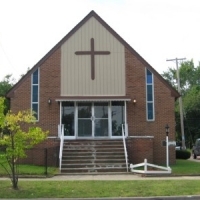 The Mission of the Holy Trinity Church and Cultural Arts Center is to promote balance and health through diversity and the arts in a way that affects both the Church and Community. Our mission is to creatively promote fairness and justice for all people and to remain steadfast in our faith in God by remaining strong and mighty in Him. Our mission is anchored in His love, joy, and peace. Lastly, our mission is to always trust in the Lord and in His Word - to let His light shine through us and throughout the world! Ultimately, the heart of our One Church is to fulfill the great commission! By Pastor and Chief Overseer, Dr. Andrew D. Clark, Sr.
To pray for larger borders is to ask God to make an intervention on your behalf. How big is your faith? If you ask God to expand your borders just a little, you may not need Him. It’s when you thrust yourself before Him and ask Him to thrust you into the mainstream of human need, which is beyond your ability to accomplish, (Lord give me more ministry for You!). That is when you are going to see God working mightily to expand your borders, and THAT'S exhilarating! You see, God always intervenes when you put His agenda before your own and you just go for it! Make no doubt about it, if you have prayed for God to expand your borders, you will recognize His mghty handiwork. You’re going to be in the front row seat of an amazing ride! Do it for His glory! Having two locations was never in my personal plans for this ministry. I’ve prayed countless times for God to expand my territory-but never on this level! In the year 2014 of our Lord, I met a beautiful and anointed Woman of God who showed me this huge edifice that was in great need of repair. 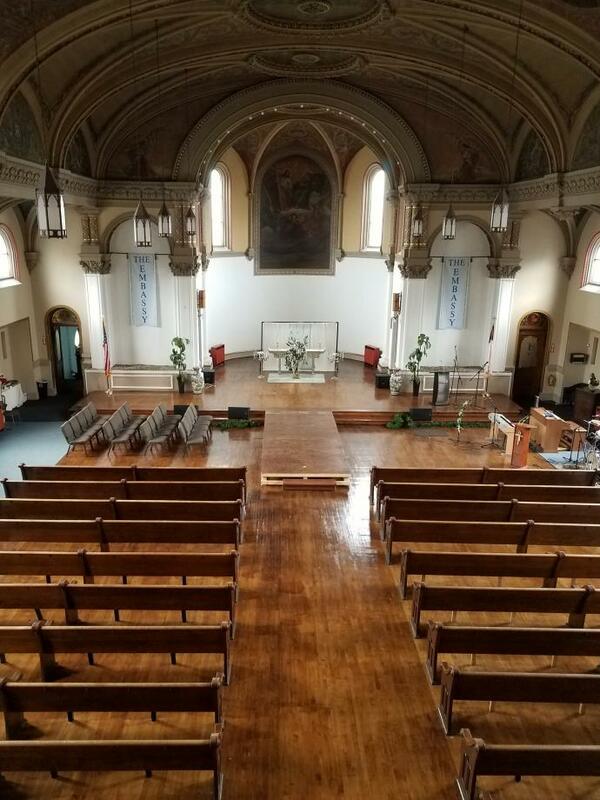 Yet, when I walked into the church known as Holy Trinity, located at 7209 Woodland Ave., my eyes shifted away from the corroding walls, damaged floors, and the stench of years of neglect. I no longer saw all of that. Instead, I saw the potential of creating an “Art” Mecca right in the heart of the most impoverished communities in the City of Cleveland. The expansion to this new location needed to first happen within my own personal faith andfollowed by praying for support, because God had already made the decision for us-it was time for us to obey-and praise the Lord, we did! I married her! Introducing: First Lady Michele Clark! Holy Trinity Outreach Ministries, has been our established location since my birth, through the hard work of my Father, Supt. Walter J. Clark, Sr., Therefore, I am committed to adding upon the legacy he started many years ago. I believe that our work in the Glenville Community of the City of Cleveland is still vital and incomplete. It is with that spirit that our work in both communities are equally important. It is not an easy job to maintain two locations-however, it is all dependent upon how you see it-“One Church, One Love, Two Locations”. As the leader and visionary, God has given to me His blessings to carry out His work-and He is whom I turn to when no one else can help. I am determined, to continue serving Him as long as He will have me.